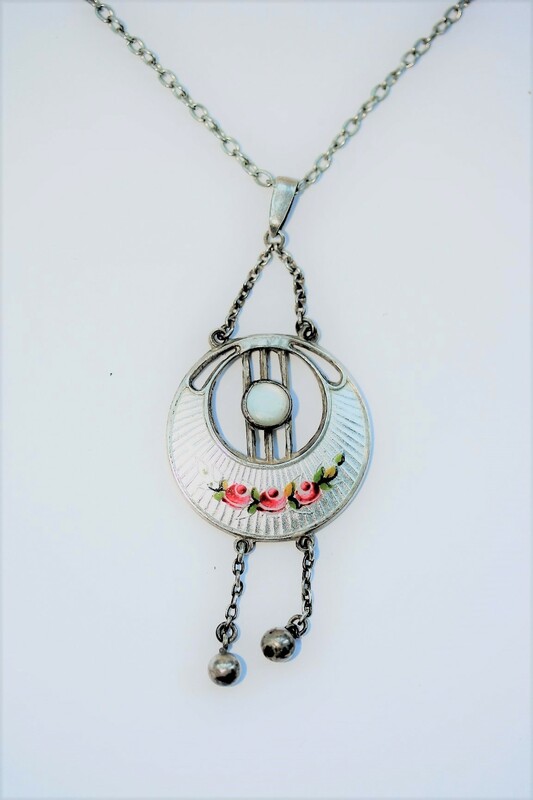 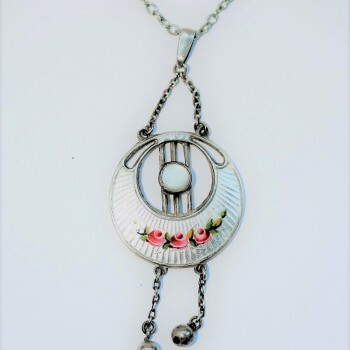 Beautiful vintage sterling silver and pendant by Charles Horner, featuring delicate enamelled design of a rose garland. 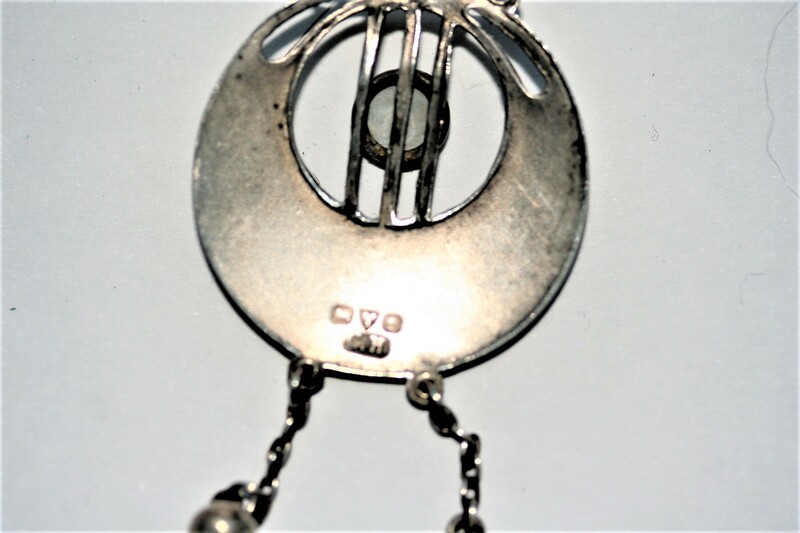 Fully hallmarked to reverse with makers marks, assay office and date letter. 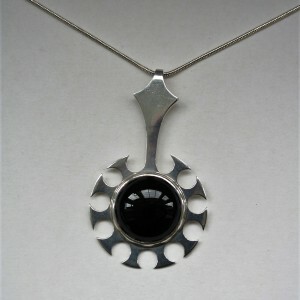 Comes with complimentary sterling silver chain.